It is a proven fact around the world that fans admire and appraise their favorite film stars. Similarly it would be very right to say that Hollywood is full of film stars that have huge fan following around the globe. When it is about Hollywood, it is not restricted to the film actors only. It includes the directors, singers and fashion designers as well. Hence we see Hollywood movies getting awards not only for acting and story but for other features like singing, fashion deigning and so much more. Attires that film stars are seen wearing in the movies is appraised by the fan following. They want to dress them the way their favorite star does. But then again not everyone can afford to wear these celebrity inspired dresses. They are too expensive to be in everyone access. Then again, even this issue has been resolved now. All the credit goes to the fashion designers that offer high quality exact replicas of these dresses worn by the film stars at affordable prices. You need not to be confused with the replicas that they will not be of high quality. They will be of high quality and will present to you the best feeling ever. As mentioned earlier that it is not only the film actors enjoying huge fan following, singers are at the top of the list as well. Usher is one of those singers having fame and fan following in all parts of the world. He initiated his singing career in 1990 and since then he has been successful in winning millions of hearts. He is not only admired for his singing talent but also for his ultimate dressing sense. He is seen wearing leather jackets in his concerts and hence have been named as Usher leather jacket. The Usher leather jacket is a perfect example of the latest style and trend in every manner. It would be very right to say that starting from the Timberlands to Nike followed by high fashion brands like Balenciaga and Prada, Usher has enjoyed the rollercoaster ride during his career. No one knew that Usher leather jacket would be in demand when he stepped in to the singing career. In his earlier concerts, he was seen wearing baggy jeans. This was the reason why his celebrity status had a big question however he turned the things upside down in every manner. He actually proved that he is not only a great vocalist but the latest fashion sensation. The usher jacket has been created with great care and sophistication. It has been equipped with quilted patterns giving the jacket a perfect look. It has an elastic waist, low collar along with the cuffs. Also the jacket has been adorned with the branded YKK zipper. 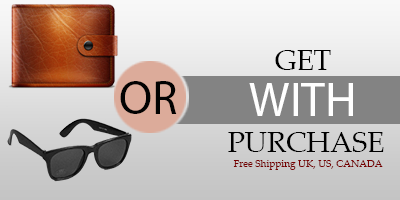 You will enjoy the finest quality as it has been made up of high quality genuine leather. The craftsman ship will be presented at its best. Being a fan of leather jackets and Usher, this Usher jacket is a must have this season.